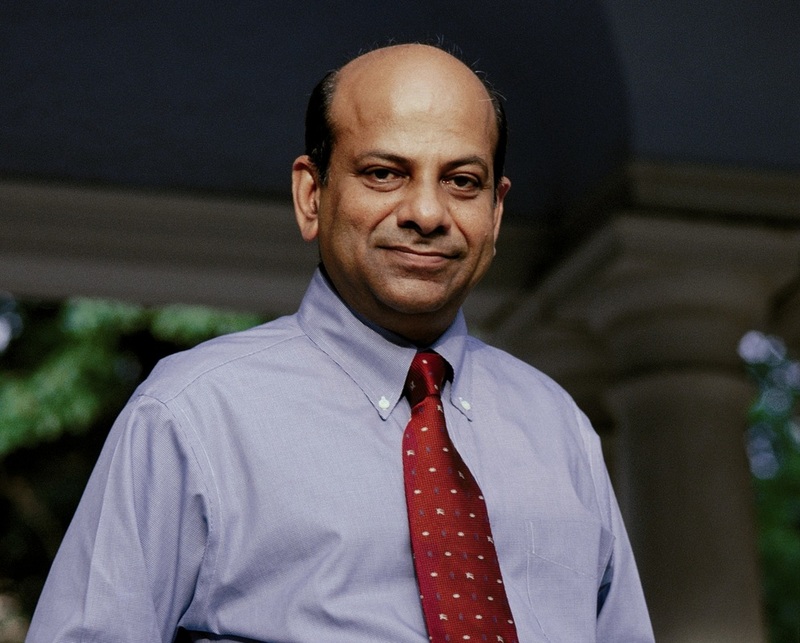 Vijay Govindarajan, known as VG, is widely regarded as one of the world’s leading experts on strategy and innovation. VG, NYT and WSJ Best Selling author, is the Coxe Distinguished Professor at Dartmouth College’s Tuck School of Business and the Marvin Bower Fellow at Harvard Business School. Vijay Govindarajan, known as VG, is widely regarded as one of the world’s leading experts on strategy and innovation. VG, NYT and WSJ Best Selling author, is the Coxe Distinguished Professor at Dartmouth College’s Tuck School of Business and the Marvin Bower Fellow at Harvard Business School. The Coxe Distinguished Professorship is a new Dartmouth-wide faculty chair. He was the first Professor in Residence and Chief Innovation Consultant at General Electric. He worked with GE’s CEO Jeff Immelt to write “How GE is Disrupting Itself”, the Harvard Business Review (HBR) article that pioneered the concept of reverse innovation – any innovation that is adopted first in the developing world. HBR picked reverse innovation as one of the Great Moments in Management in the Last Century. In the latest Thinkers 50 Rankings, Govindarajan was ranked the #1 Indian Management Thinker. VG is the originator (with GE CEO Jeff Immelt, and Chris Trimble) of the concept of "reverse innovation" . He has been identified as a leading management thinker by influential publications including: Outstanding Faculty, named by Business Week ;Top Ten Business School Professor in Corporate Executive Education, named by Business Week; Top Five Most Respected Executive Coach on Strategy, rated by Forbes; Top 50 Management Thinker, named by The London Times. He was the first Professor in Residence and Chief Innovation Consultant at General Electric. In the latest global ranking of management thinkers, Govindarajan came in third place, ahead of Jim Collins and Michael Porter. He is the author of New York Times and Wall Street Journal Best Seller, Reverse Innovation. VG has a passion for sharing his ideas and helping companies become even more innovative, efficient and effective. VG’s favorite format for an appearance is to deliver one of his signature 45-60 minute speeches , focused on one of the core topics, below, followed by 15 minutes of open Q&A with the assembled audience. He is comfortable in front of audiences of all sizes – from a private leadership retreat for 5 people up to a dramatic public event with 10,000 or more attendees. He deeply enjoys meeting with the executive leadership of the company hosting him and endeavors, whenever time and energy permit for all parties, to gather for a friendly meeting or meal immediately prior to the commitment. In this way, he can be better informed on the realities present in the host company’s industry and current environment and better relate his content to their unique challenges. VG’s speaking style is warm, yet strong, engaging, thought-provoking and livened with the occasional touch of appropriate humor. In short, VG is a delight. A truly successful company must have a strategy that incorporates all 3 boxes, since each one is vital to the stability and future growth of the organization. It is VG’s mission to inspire companies to forge a 3 box strategy that incorporates efficiency (a Box 1 imperative) with breakthrough innovation (Boxes 2 and 3). VG has four core presentations, summarized below and based on his best-selling books, which he customizes for the specific audience he will be addressing. Please click on any title for a more comprehensive look at that specific presentation. • How do we identify the market discontinuities that could transform our industry? • How can we create new growth platforms that exploit new market realities? • What are our core competencies and how can we leverage them to generate growth? • What new core competencies do we need to build? • What organizational DNA will allow us to anticipate and respond to changes on a continual basis? • How do we execute breakthrough strategies?